Be sure to have your pre-test/post-test and getting to know your surveys embedded on your webpage (not linked). Be ready to share them in lab on Friday. We’ll also be working on an in-class project. If you have an iPad or other tablet-based device with a built-in camera and wifi connection, please bring it to lab. I know we all missed each other Friday as we split to go our separate ways. I hope the time at Prairie with Megan Hanson was great for Secondary; and I know the PE and El Ed group had a great time with our “students” in Eby Field House. Let’s reflect on our experiences Friday: Secondary – recap your experience talking Flipping the Classroom with Megan in a healthy paragraph on your blog. To wrap it up, what questions still remain? What’s still fuzzy? What else do you want to know before you’d try it? OR, what’s your one take-away from the afternoon? 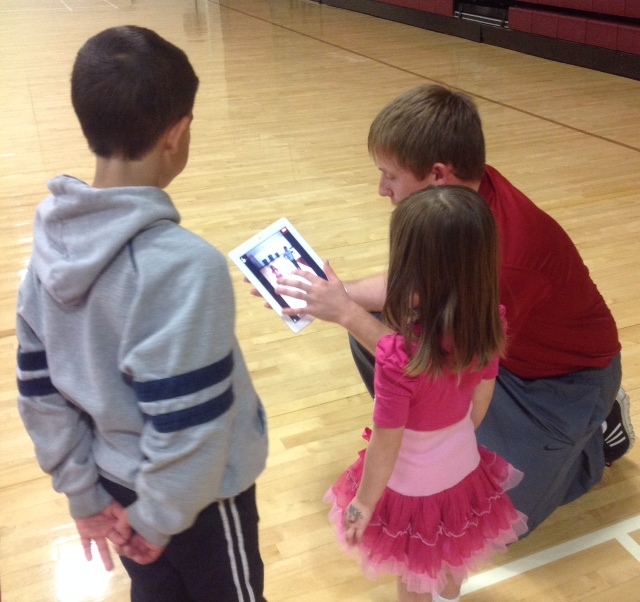 PE/El Ed: reflect on your experience with iPads & kids. What did you set out to do? How did it turn out? If you could repeat this exercise, with the same age group, what would you do differently or amend? How did the iPads play in to your lesson? How could you have used them more effectively/differently? Everyone should have their blog post completed and Tweeted by 9AM on Thursday, November 14. 6-10 “get to know” questions. For secondary, these questions should be directed at your own students. For elementary ed direct the questions toward your parents. For PE – you get to decide. What do you want to know about your students or about the parents of your students at the beginning of a school year? 5 questions relating to your unit or a lesson you’re developing that could be used as a true pre-test of knowledge. Secondary Practicum: you’re going on a trip (in your favorite rocket ship = use comments to name the tune/show!). You’ll be visiting Prairie Point Middle School and meeting with Coe alum Megan (Olson) Hansen. Logistical details will be covered in Practicum on Wednesday. PE/ElEd: we’re playing with iPads! We will be meeting in Eby 120 and we’ll actually have kids there! You’ll be working in pairs, and will be assigned 3-4 kids each. You will get iPads in Practicum on Wednesday. Paige & Ben: you’ll have three 4th graders (Hannah, Ethan & Chase). Your task: Come up with a skill that includes at least 3-5 steps. It could be a yoga progression, a dance step, a weight lifting technique, or something else. Create a simple instructional way to teach it to the students. Practice with the students. Review and select one of these apps: Educreations, Knowmia, Showme or Snapguide. Your students will use the app of your choice to create their own lesson to teach the steps to their classmates. They will need to break down the steps, take photos and write instructions for each step and then put them all together using the app. You will guide them. Extension: have the kids determine their OWN step by step lesson to produce. Davin & Gage: you are working with three Kindergarteners – Eli, Tyler and Collin. Come up with a exercise or skill or skill based game (how to do a sit up/push up, how to do a jumping jack, how to shoot a basketball, how to kick a soccer ball, how to pass a soccer ball from out of bounds). You will teach it to students, they’ll practice, then you’ll record them using one of the following apps: Instant Replay, O’See or Slow Pro. Review the skill with the kids using the functions of the app; point out improvements. Re-do the exercise. This time during the review have the kids point out the critical components. Secondary: have the kids record YOU doing the exercise and point out the components and/or improvements of your attempt. Extension: Use the Heart Rate Calculator app to help the kids determine resting heart rates and active heart rates. Hailey & Ashley: you’ve got second graders – Micah, Allison, Grant and Summer and you’re working on story creation. First, work through the basic parts of a story with your group. You may want to bring some simple books (or find them online or through iBooks or other apps) to review parts of a story. Then, you will use one of the following apps to create a new story with your students: Scribble My Story, Toontastic, or My Story Book Maker. Miranda & Renee: Sadie, Ollie, Ellie and Isaac are your 6th graders, and you’ll be guiding them through a physical science lesson. You’ve got a variety of apps to explore for this session: Bridge, Simple Physics, Contraptions, Drop the Chicken, TinkerBox, Cut the Rope, Water? Amazing Ants, Jelly Car and more. Look at the collection on your iPads labeled “Physical Science” and play through the games. First, look at the concepts of many of these games (falling paths, how matter moves through space with propulsion or gravity, how a bridge works, etc). Determine a simple lesson based on one simple concept (how energy from one moving ball will transfer to a still ball and move it, perhaps?). Once students can demonstrate this concept back to you – turn them loose on some applications that can cement physical science concepts. Think about the best way to get them engaged with the content in the applications: perhaps staging a contest – which group of two can figure out the next level fastest? EVERYBODY: If there is a lesson from your Methods or Practicum class you’d like to ‘practice’ here – this is your chance! You’ve got a low-key/low stakes setting, you’ve got a small group of willing kids, you’ve got a controlled environment. If there are other uses of the iPads that would complement your lesson more than what’s listed above, drop an email to Sarah and me to let us know your change of plans. You can use your own iTunes account to add apps to the iPads. As I hope you’re realizing by the amount of time we’re devoting to this topic, Digital Citizenship is a big deal. Knowing where you stand and being firm in your own beliefs is a big deal. Helping your students understand the vast possibilities – for good & evil – and acceptable uses of social media is a big deal. Creating, evaluating and understanding online sources, and using them (or choosing not to) when appropriate, is a big deal. Time to reflect and re-evaluate. Read the blog post you wrote about your own digital citizenship statement. After our discussions and your additional reading and research, is it still accurate? Could it use some tweaking? If you applied it to all the scenarios we covered in lab on October 25 and November 1 does it still ring true? Now look at the content you created for students and/or parents and posted to your webpage. In light of our discussions and your further readings, is what you created STILL what you would present to your students and/or parents? Does it include enough detail? Many of you included a list of the 9 Elements of Digital Citizenship: why? Did you include enough context to make the list helpful? By TUESDAY, November 5 at 11:52PM write a blog post, reflecting on the above paragraph. If you wouldn’t change a thing, why? Cite references – tell us what you’ve read that backs up what you posted. If you would change things up, what are you changing and why? Re-work your newsletter/presentation to include more details. Focus on a particular element if you think this will have more impact. If you can’t possibly think of any way your newsletter/presentation could be improved, tell us why. In both instances, include a link to your website in your blog post. Tweet the post. What are we doing in Tech Lab on November 1? Continue your work on the three scenarios. For class on November 1: Pick one scenario; you’ll be leading our class discussion on this scenario. We are your class; help us come to conclusions, lead us to the pros and cons, explore all possibilities for our discussion. Metta: pull together online sources (YouTube videos, images, webpages) with your own narration of your own images. Add short check-for-understanding questions along the way. Prezi: you go this one! Include external resources to your Prezi to add relevance to your scenario. GoAnimate! Start your scenario as an animation – give us a conversation for a starting spot. Storify: use this tool to create a scenario with your own text combined with relevant content pulled from social media sites for Twitter, Facebook, Instagram, Google + and more. A similar tool to check out is Paperli – you can create your own personal online paper using content from the web, Twitter, FB, YouTube and other feeds. Create a paper that captures feeds featuring a targeted topic; the paper automatically updates as new content is added to your sources. Or, use any other tool you’d like to use to present your scenario (no paper, please). By 2:45PM on Thursday afternoon – HALLOWEEN!! – Tweet a link to your scenario (everybody should tweet it – even though you’re working with partners). In class, be prepared to pull up your scenario and lead us through it. We are your class. First, tell us who we are (ex. we are your 5th grade class, we are your 9th grade American Literature class, we are your fellow teachers on an early out professional development day, we are the parents of your 1st graders). Then be prepared with at least two paths to your scenario. As you’ll recall from our classroom discussion on Friday, there really are no black and white answers, right? Lead us through the gray. A good digital citizen practices appropriate and responsible behavior when using technology. Digital citizenship involves understanding and practicing appropriate: digital access, digital commerce, digital communication, digital literacy, digital etiquette, digital law, digital rights & responsibilities, digital health & wellness and digital security. There are 9 elements to Digital Citizenship: Digital Access, Digital Commerce, Digital Communication, Digital Literacy, Digital Etiquette, Digital Law, Digital Rights & Responsibilities, Digital Health & Wellness and Digital Security. Read more about these 9 elements HERE. WHAT DO WE NEED TO DO FOR TECH LAB? 1. Develop your personal digital citizenship & responsibility statement. It should address accessibility, plagiarism and copyright, as well as digital etiquette and any of the other nine elements that speak to you. Post your digital citizenship & responsibility statement to your blog. In addition to the statement, add a reflection: what resources did you use to create your statement? Why is it important to define your role and responsibilities as a digital citizen? Do you have responsibilities for helping your students develop as digital citizens? Why or why not? And if so, how will you help them? 2. ELEMENTARY/PE produce an article for your newsletter (or a newsletter devoted to the topic) for parents on Digital Citizenship. Add the newsletter to your course website. 3. SECONDARY produce a presentation, brochure, digital poster or infographic to educate your students on Digital Citizenship. Add the presentation/brochure/poster to your website. Both the blog post and the article for your website are due by 11:58PM Thursday, October 24. Tweet your blog post and also Tweet the link to the new page on your website. (So…I should see a minimum of two Tweets for each of you by the end of the day Thursday). What do we know about Digital Citizenship? What’s a digital citizen? 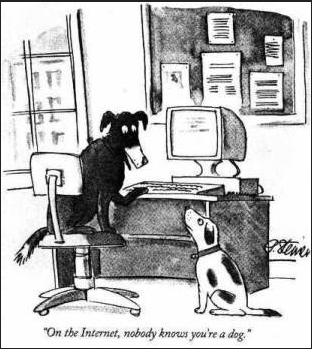 What is digital citizenship? What responsibilities do we have as digital citizens who are also members of the teaching profession?